David E. Gumpert’s latest post over on The Complete Patient blog brings to mind Bill Marler’s reference to him as “the pope of raw milk”. 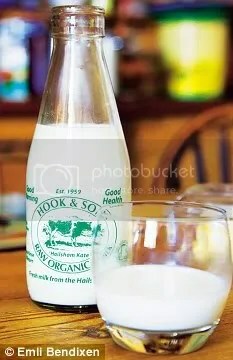 The way David spells it out, the heretic farmers of raw milk are like the Jan Hus of religious history, paving the way for a broader “reformation”, in this case of the food industry. Heady stuff, but what’s their alternative? To become enforcers of the decrees of those who would deprive human beings of the food they need in the name of corporate profit, or in short, to join themselves to the ranks of the praetorian class, as ipso facto defenders of the exploitive scams of the .01%? Farmer Vernon Herschberger a modern day Jan Hus? . Photo via The Complete Patient blog. 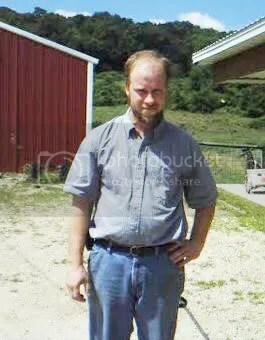 Dig that raw milk skin tone. Star of the Indian screen, Aditi Rao Hydari, reveals that yes, she washes her face with raw milk. Click image for photo source. “Actress Aditi Rao Hydari shares her beauty secrets with us. Skin-tillating! I do some yoga and dance, this makes my skin glow. I keep my skin clean and healthy. An oatmeal pack made at home is what I use for my skin and wash my face with raw milk, some vitamin C and vitamin E serum and moisturiser. The Times' caption for this picture reads like advertising copy for raw milk: "The first taste is a revelation, rich, bounteous and fulsome"
“The machine, nearly 6ft of solid, gleaming steel, sits just to the left of Oddono’s ice cream in London’s Selfridges. And is a mere Tunworth’s roll from the groaning cheese counter. Which seems entirely apt, as this magnificent monolith dispenses milk, the heart and soul of them both. But this is no run-of-the-mill dairy dullard; it’s a repository of raw, unpasteurised milk from Sussex – buxom, beguiling cowgirl rather than joyless, emaciated waif. 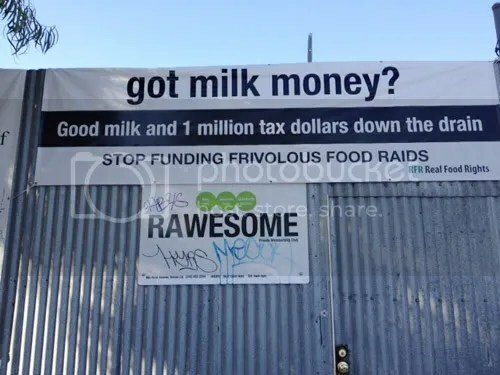 Signs currently outside the now shuttered former Rawsome Food Club. David E. Gumpert photo. Whatever happened to the Rawesome Three (James Stewart, Sharon Palmer, Victoria Bloch)? Whatever happened to the felony case against the Rawesome Three? CFIA image of recalled product via CTV news. Click image to go to the CTV story. 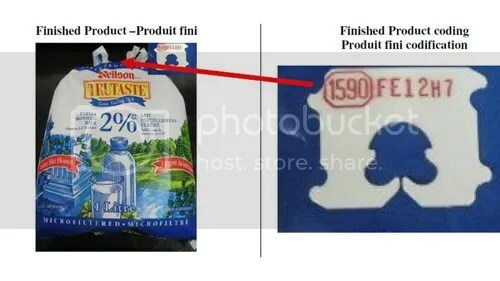 CTV, Global News, Yahoo and Canadian Press are reporting that Saputo dairy has recalled a type of milk product sold in both Ontario and Quebec because it may have been contaminated with a cleaning agent. Apparently you can be too clean. Still hope for herdshares in California? “There are any number of reasons why the negotiations over herdshares taking place in California—between owners of small dairies and the state’s Department of Food and Agriculture– over the last few months should not work. Many tiny dairies dispensing raw goat’s or cow’s milk through such operations feel as a matter of principle that they shouldn’t have to negotiate a right that is already theirs—the right to contract with neighbors and friends for milk and other dairy and food products. I guess this science stuff isn’t all its cracked up to be! “A Massachusetts resident who first tested positive for brucellosis has now been confirmed to not have the infection, according to an email from the assistant commissioner of the Massachusetts Department of Agricultural Resources (MDAR).